A Sky News correspondent who resigned after faking a report on the war in Iraq has been found dead at his home. James Forlong, 44, was discovered by his wife Elaine just after 0230 BST on Saturday at Hove in East Sussex. Mrs Forlong said on Monday that her husband had been "shattered" after losing his job. In a statement, Mrs Forlong said that she and their 15-year-old son Christopher - who has Down's Syndrome - and 12-year-old daughter Katie were in a state of shock. "The family are devastated by his death which we are still trying to come to terms with. "James was a devoted, loving father and husband and we shall all miss him desperately." Mr Forlong was accused in a BBC documentary of fabricating a report about the firing of a missile into Baghdad. The journalist resigned from his post of joint defence and royal correspondent in July after admitting to a "lapse of judgement" in presenting library pictures as live footage. His wife said: "James had been shattered by the recent blow to his career as a journalist. "He deeply felt the loss of his job as a television correspondent. "James was an award-winning journalist who had spent the last 10 years travelling to some of the world's worst trouble spots including Rwanda, Bosnia, Indonesia and Afghanistan and cared passionately about his work." The father-of-two had worked for the satellite news channel for 10 years and former colleagues at Sky have also expressed shock at his death. A Sussex Police spokesman said the circumstances were not thought to be suspicious and a post-mortem examination was due to be carried out on Tuesday. Nick Pollard, head of Sky News, said: "This is a terrible personal tragedy and a shocking blow for James' family. "Everyone here sends their deepest sympathies to James's wife and children." 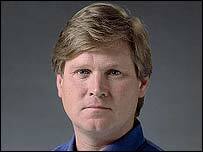 During the Iraq war, the reporter was embedded aboard aircraft carrier USS Kitty Hawk. A BBC documentary called Fighting The War said Mr Forlong had faked a report about the firing of a missile into Baghdad. The misleading footage was part of a pool report made available to other news organisations and was also shown on ITV News. 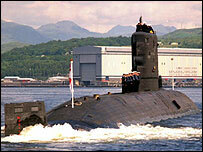 The journalist claimed to have exclusive access aboard the submarine HMS Splendid. But a BBC film crew said his report was based on library pictures. Mr Forlong admitted: "It was, in 10 years of unblemished service with the company, a single lapse of judgement which for me is a source of deep regret. "There was never any conscious intent to deceive the viewers, though I accept that was the outcome." He resigned shortly after being suspended while a Sky investigation cleared producer Lucy Chaytor. Mr Forlong was an award-winning journalist who had fronted coverage of the Golden Jubilee, as well as the deaths of the Queen Mother and Princess Margaret. He began his career in newspapers, with the West Sussex County Times and the Brighton Evening Argus, and later reported for BBC radio.